When American Pharoah arrived at Ashford Stud on November 2nd of last year all eyes turned to his new career as a stallion. Midway through February the transition from racehorse was made complete when American Pharoah began covering mares. 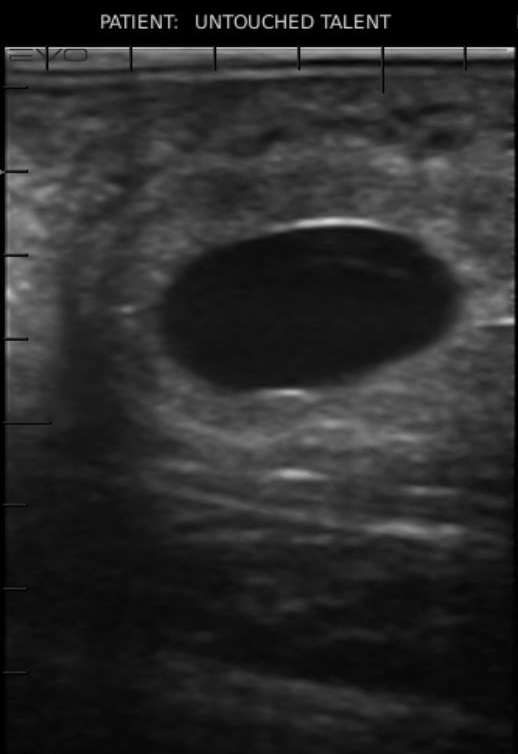 Among the first mares to be covered was Untouched Talent (pictured below in her paddock at Ashford along with her pregnancy scan) and last week we were welcomed by the news that her initial pregnancy scan was positive. While it is still early days the hope is that in a little over 11 months from her breeding date she will give birth to what could be the very first American Pharoah foal. Untouched Talent is indicative of the quality of mares that American Pharoah will be mated with this breeding season. 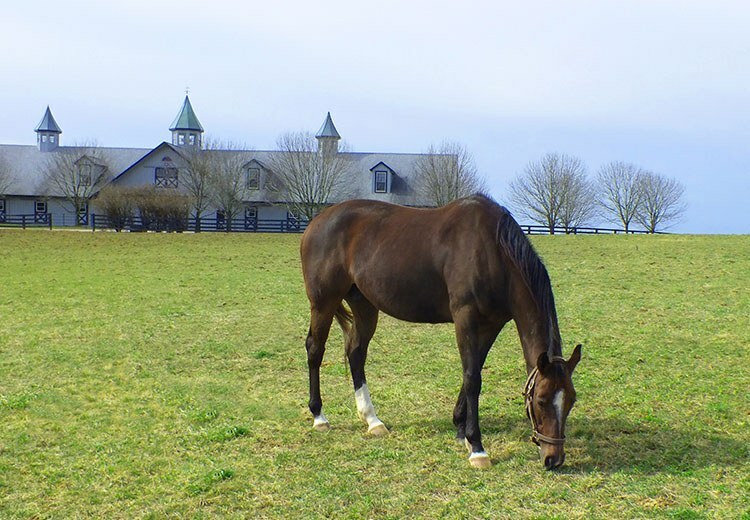 On the track she was fleet footed enough to win the G3 Sorrento Stakes and as a broodmare she has already produced G1 winner and Kentucky Derby placed Bodemeister (pictured below), who is by American Pharoah’s grandsire Empire Maker. In short, she is exactly the type of mare to give American Pharoah the chance to produce champion offspring. Other notable mares to have already visited American Pharoah in the breeding shed include Arch’s Gal Edith, dam of Kentucky Derby and Preakness Stakes winner I’ll Have Another, Grade 1 winners Sunset Glow and Damson as well as Global Finance, the dam of one of last year’s most brilliant two-year-olds Acapulco, and Pepper’s Pride who famously won all 19 of her career starts. 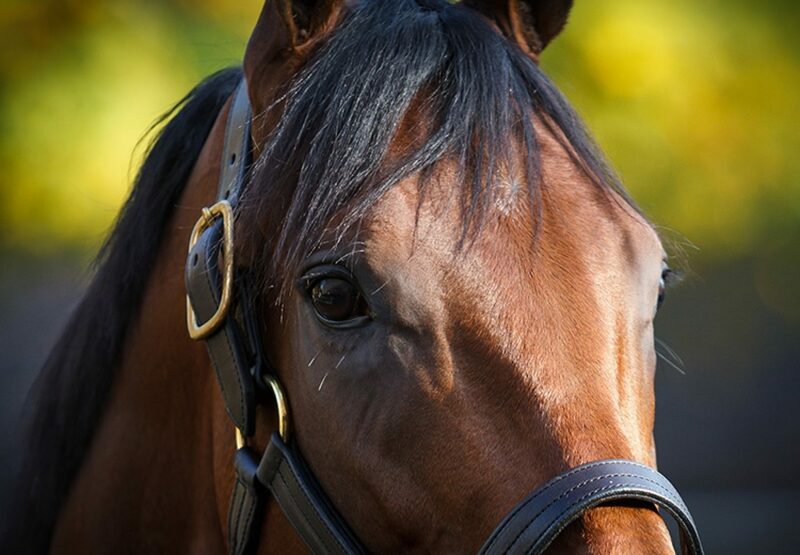 So how has American Pharoah settled into his new life? 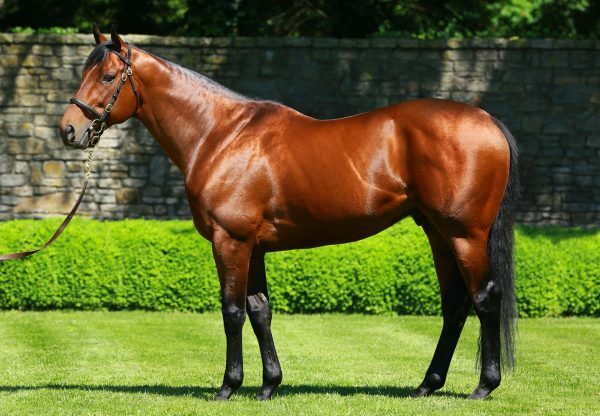 Very well according to stallion manager Richard Barry who commented “American Pharoah has thrived since he arrived at the farm. He has put on roughly 150 pounds and is really letting down into an imposing individual. He is a pleasure to do anything with, we’ve never had a stallion here with a temperament like his. 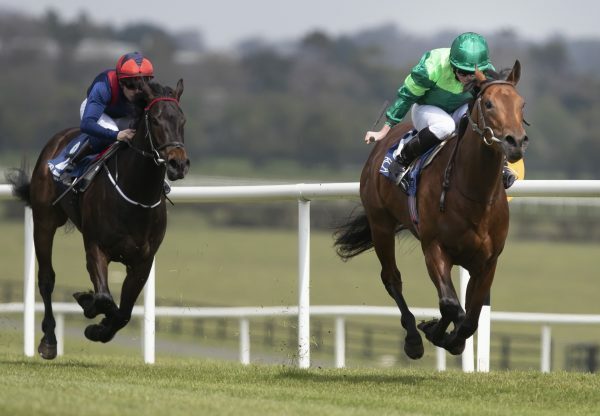 He’s taken to breeding like a pro but has retained his kind nature, he’s still the same gentleman he has always been”. American Pharoah’s day typically begins with a morning breeding before he is turned out in his paddock, a part of the day he particularly enjoys according to Barry “The first thing he does most mornings when we turn him out is to get down on the ground and have a good roll. When he comes back in from his paddock for a groom it can be quite a task to get him cleaned up for visitors”. 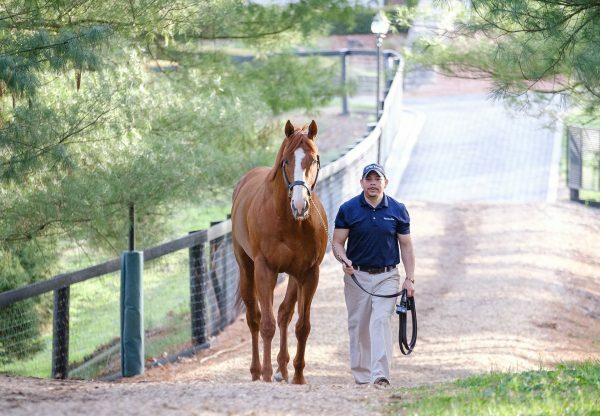 The afternoon breeding session takes place at 1.30pm and is followed by the Ashford Stud tour at 3pm (book here). American Pharoah has obviously been a very popular addition to the tours and has welcomed thousands of visitors in the time he has been at Ashford. The fanfare is nothing new to him and he seems to enjoy his visits from the public who travel from near and far to see him and his new home. Breeding season continues through June so American Pharoah’s schedule will remain fairly consistent during that time. It is expected he will continue to develop and grow as he matures, particularly when the spring grass starts to grow. We look forward to tracking his progress as well that of Untouched Talent and the other mares in his book with an eye towards 2017 when his first foals will hit the ground.